French designer, Philippe Starck, has created a 16-piece collection of cruelty-free furniture using apple waste. Starck, who designed the collection for Cassina, used the material apple ten lork from the company Frumat. On creating faux leather, Starck said:“ We pretend not to hear the question but we really need to find other solutions. Today, perhaps apples can give us the beginning of the answer. Like Eve, Newton and William Tell, we believe in the apple, in Apple Power. "Let’s eat apples and hope that this Cassina sofa made from apples creates a new vegetal path to mutual respect." 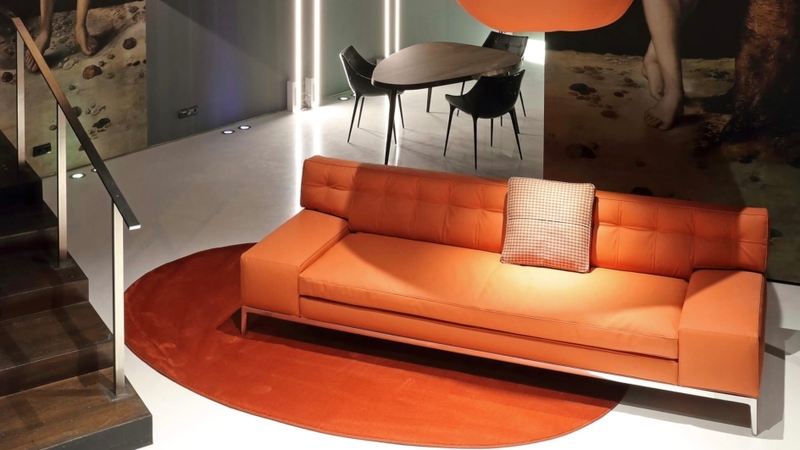 The collection is currently on display in Pairs inside Cassina’s showroom. The vegan leather industry is skyrocketing, as more and more people opt for cruelty-free clothing. According to a 2017 report from Grand View Research (GVR) the global faux leather market is set to hit $85 billion by 2025, with many big names such as Stella McCartney pledging to go leather-free. Stella McCartney's website reads: "As a vegetarian brand, we believe in treating animals and their habitats with respect. We promote a cruelty-free ethos and continue to innovate ways of creating sustainable materials. "We never use leather, skin, fur or feathers, using alternative materials instead."